For this trick, you have to spend is just RS.2 for 3 months and Rs.35 every month. It is simple, fast, easy and working 100%. I think this is the only working SMS trick now on Internet for Tata Docomo. Let's get into it. 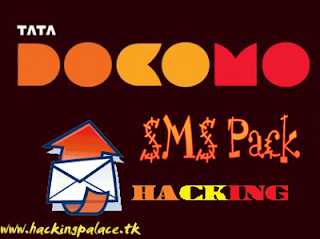 There is an old Rs.2 Plan for Docomo, in which by just spending Rs.2 per day, you can send rest 98 SMS for free (Remember: There is a TRAI regulation of 100SMS/Day). This offer is simply not bad, bust still we need 60RS/month. We can go much cheaper than that. Just send 2 SMS to any Tata Docomo Number. Your SMS balance will be reduced. After that, Send to any Number, Even your SMS balance willnot be reduced. That means, After sending 2 SMS, It has become RS.2 plan, without losing 2RS more! I have been using this trick for 11 days. Now my SMS balance is 2978!